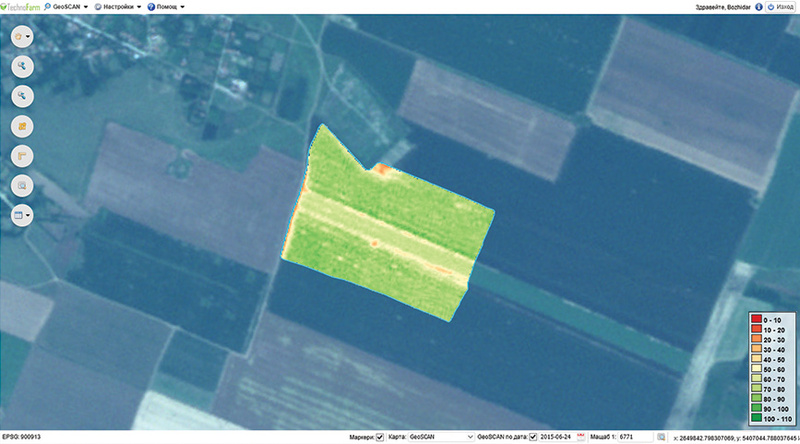 GeoSCAN allows you to monitor your crop fields during the vegetative season. 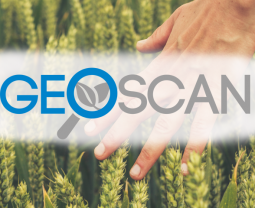 GeoSCAN is a crop monitoring program that provides near-real time tracking of plant growth and the opportunity for taking in-time measures for improving yield results. GeoSCAN is based on the latest technologies for Earth Observation, the program provides different types of geometric accuracy and large territory coverage with extremely high revisit periods. New! 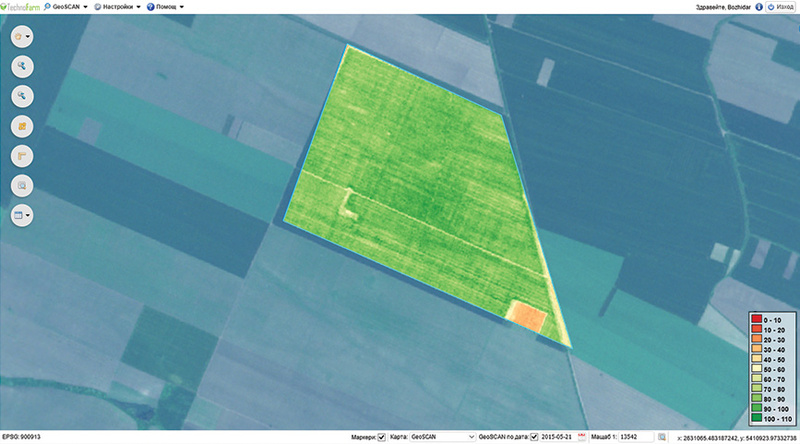 GeoSCAN has a new intuitive interface with many additional functionalities. 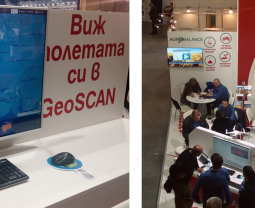 Ask us more about GeoSCAN 3.0. 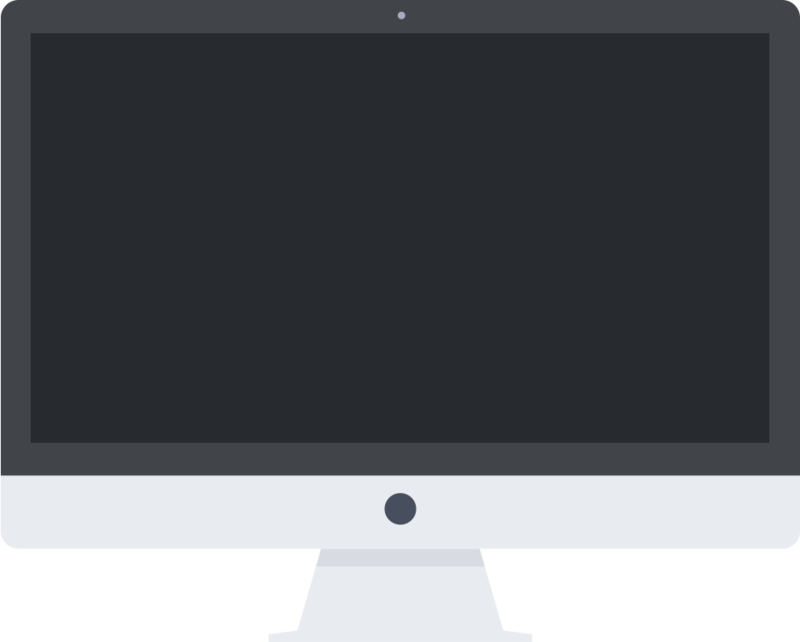 How does GeoSCAN work ? 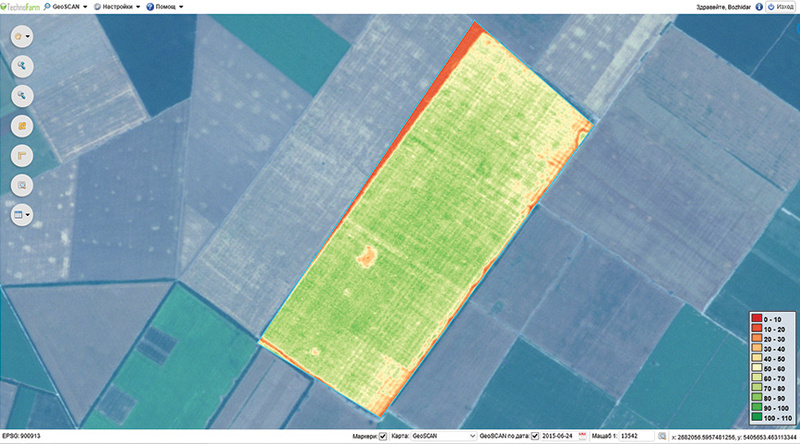 With subscription for the GeoSCAN program you will receive up to date satellite images of your fields over the whole vegetative period. 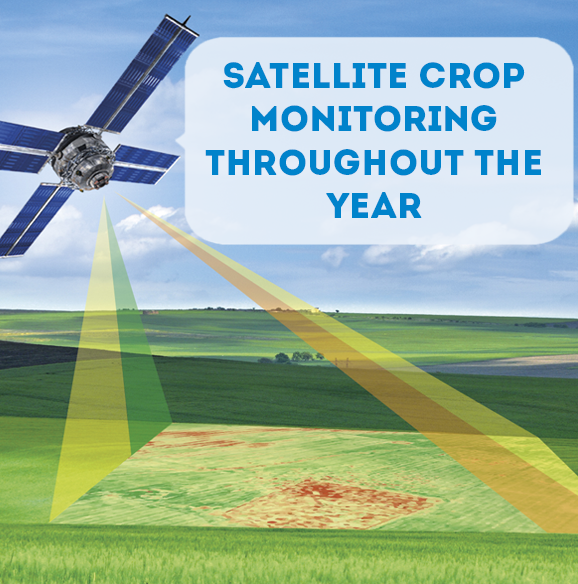 The satellite acquisition periods are determined in compliance with the agronomic indicators of the major annual and perennial crops. 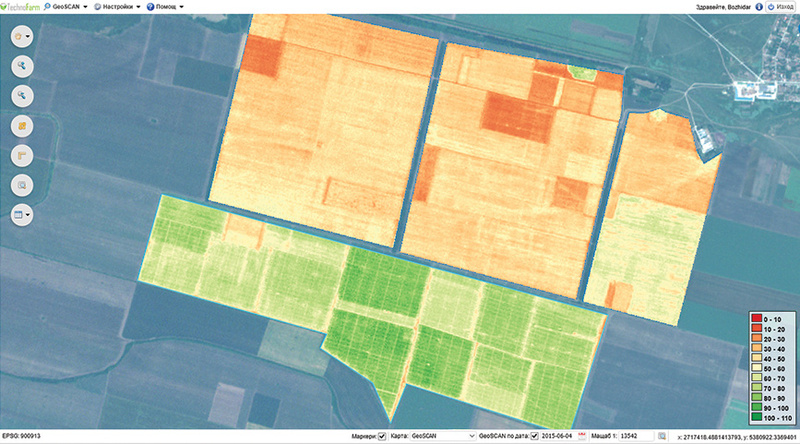 At the end of the agricultural season, you will have maps, covering the vegetation of your field throughout the year. 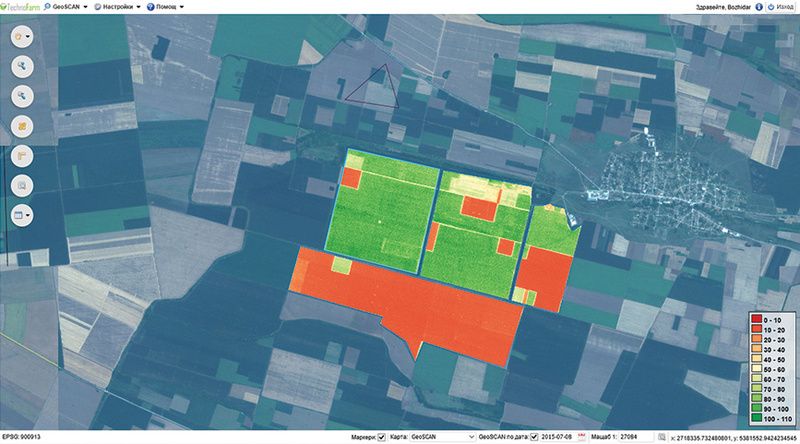 Each map is indicating the vegetation index in a relevant crop phenological stage. 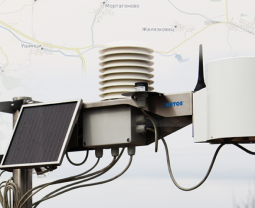 For the new season 2016-2017 GeoSCAN offers additional functionalities, such as phenological calendar, integration of data from meteo stations, notifications for extreme crop conditions and many more. Which are the GeoSCAN benefits ? Why to use the GeoSCAN Mobile App ? 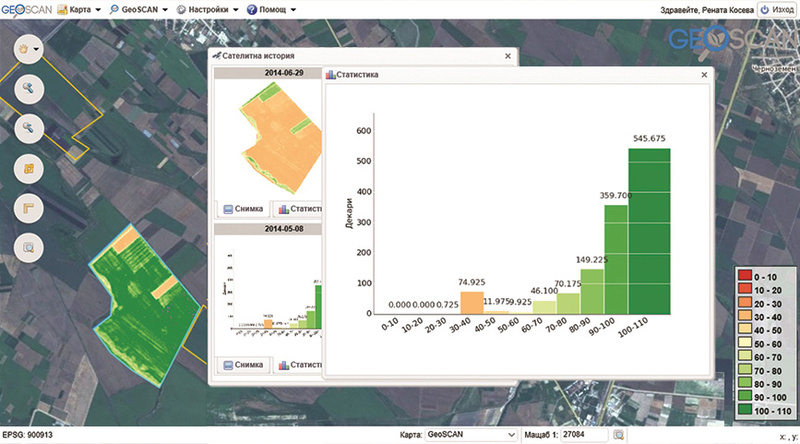 GeoSCAN is a product created by Techno Farm Ltd., and offered to the Bulgarian farmers by NIK Electronics Ltd. NIK’s software team is composed of specialists in the fields of software technology, agriculture, GIS and remote sensing sectors, united around the idea that farmers need to have in their disposal the opportunity to take advantage of the constantly developing information technologies and services. We believe that nowadays the software systems have their place in every modern farm and we seek by constantly developing our products and services to satisfy the expectations of the Bulgarian farmers. ClientsWhat our clients think about GeoSCAN ? 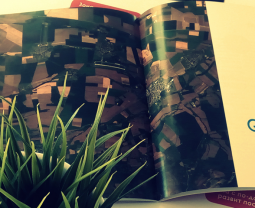 At first we thought that this service is dedicated to big farms, but afterwards when we took a look at the maps, we realized that this it is not the case.